There’s the story of the Prodigal Son, who took his inheritance early from his father. He went to a far country, where he squandered his substance in riotous living (i.e. blew it all on booze and babes) and then, when he was in dire straits and realized his mistake, he went home, and all was restored to him. 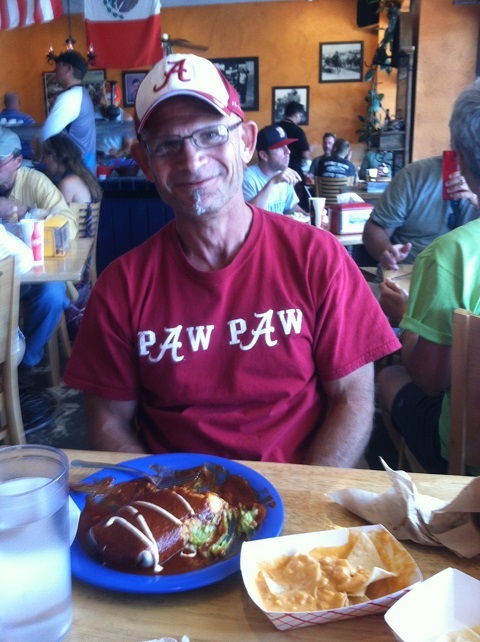 Here I sit at El Chubasco in Park City, UT, eating a Mole Burrito, this last Saturday. Once upon a time, I lived in Park City, UT. I had a great job in downtown Salt Lake, a short 20 minute commute from my ski house in the Summit Park neighborhood of Park City. On the weekends, I would go to El Chubasco and eat a Mole Burrito. I would often decide before I got to El Chub’s that I would order something else, but it never stuck – I always got the Mole Burrito. Then I did some stupid stuff. I took a job in Scottsdale, AZ, and I left my great job in downtown SLC and my home in Summit Park. The next eight years – well, there were good things that happened. I made good friends. My youngest son found his girlfriend. My eldest moved to Phoenix and brought out his girlfriend, and we got the gift of a local grandson. But I never completely quit regretting having left Park City. Now I’ve lost the job that I went to Arizona for. My youngest has his life with his girlfriend, and doesn’t need us. My eldest is moving back to the Southeast, taking the girl and the grandson. So there’s nothing to keep me in Phoenix. And I now have a new great job in downtown Salt Lake. I have put in an offer – and it’s been accepted – on a townhome in Summit Park, about twenty minutes from the aforementioned great job. We close on that home in late September. And here I am, two days ago, at El Chubaso, eating a mole burrito. Send one to me, those things are great. Nice to see ya back where Gawd and Lucy want you to be. I’d say it all turned out good. You made a lot of money and now you are back where you love to be. But I’m almost home. It’ll be a while before I get there – by the time that we are in the house, I’ll be in Pleasanton for five weeks. I won’t be “back home” until the end of October.